Win a place on the Writing from Art workshop taking place at sculptor Carol Peace’s Bristol studio this November. To enter, all you need to do is write and submit a piece inspired by one of SkyLightRain.com‘s writing prompts. Entry is free of charge. Your written piece can take the prompt in any direction, and either be prose up to 900 words long (shorter is fine) or poetry up to 40 lines in length. The Writing From Art workshop takes place from 2-5pm on Wednesday 12th November 2014 at Studio 5.3, at Paintworks, Bristol. 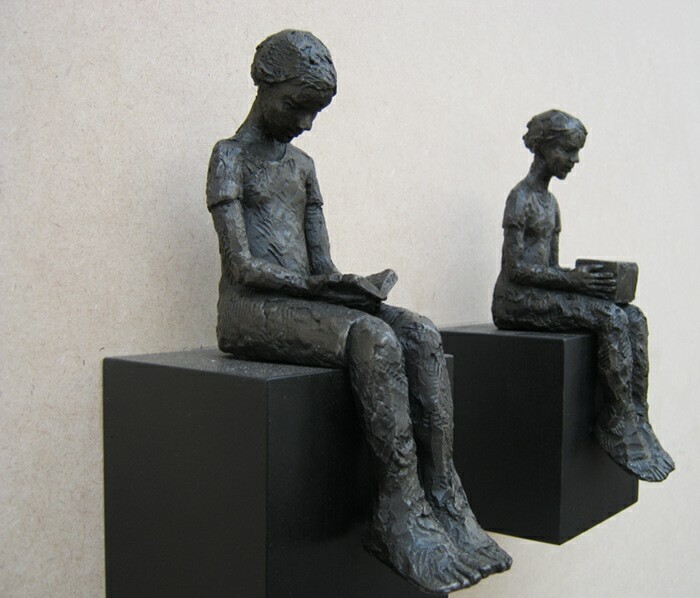 Surrounded by the sculptures and drawings of renowned artist Carol Peace, you’ll have the chance to engage with Carol’s work and with art in general, and use it as fuel for your own creative endeavours. The prize is worth £12, and includes tea, coffee and biscuits. To enter, simply email your written piece to judy(at)socket creative.com. Include your full contact details, and let me know which writing prompt inspired you. The deadline for submissions is midnight on Thursday 6th November 2014. The winning submission will be published on SkyLightRain.com. All entries will be considered for publication on the site. Length should be up to 900 words for prose, and up to 40 lines for poetry – no minimum. The title is not included in the word count. Lines between text/stanzas are not counted. All entries submitted can be on any subject, and written in any style or form, but must draw inspiration from one of SkyLightRain’s Writing Prompts. You may submit up to five entries. The Prize is open to writers of any nationality writing in English, aged 18 years old or over at the time of the closing date. The Prize covers participation in the Writing from Art workshop, but not travel to or from the workshop. Entries must be entirely the work of the entrant. By submitting you are confirming that the work is your own. Entries must not have been published previously. The filename of entries must be the title of the entry and it must be either a .doc, .docx, .rtf, or .txt file. Worldwide copyright of each entry remains with the author. SUBMISSION OF ENTRY IMPLIES ACCEPTANCE OF ALL THE RULES. For more information, feel free to contact me by sending an email to judy(at)socketcreative.com. This entry was posted in News and tagged creative writing competitions by Judy. Bookmark the permalink.